Koraput: State Resource Centre (Agragamee),Rayagada organized a workshop on Tribal Writer workshop of undivided Koraput at DRDA Coference Hall, Koraput. 14 writers of different tribes like soura, kandh, paraja, Gadaba,Banda, Penga Paraja, Jhodia, Kui, presented their manuscript in a large audience among researcher, lecturer, academicians, media personals, citizens group and peoples from the community. 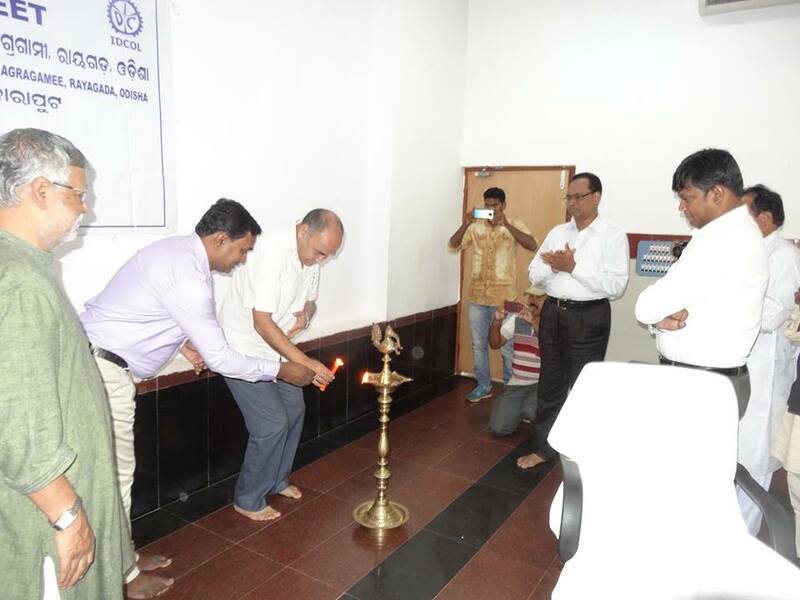 The workshop has inaugurated by KBK Commissioner Sri Sudarshan Pal Thakur, IAS, Sri Sudarshan Chakrabarti, Collector, Koraput, Mr. Gadadhar Parida, Ex.Collector, Koraput, Mr. Achyut Das,Director by lightening the lamp. 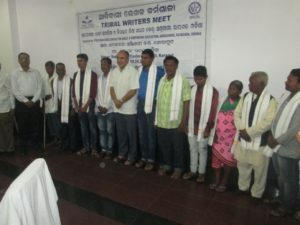 Following the inauguration, the tribals writers presents their manuscript one by one. Among the presenters, Mr. Gyanasham Sabar, Kanhucharan Gomango, Ramamurti Gomango and Anirudha Sabar from Soura Community, Rupnarayan Majhi from Penga peraja Community, Sabyasachi Bisoi on Gitkudia Parampara, Jaya Singh Sounta, of Kui Paraja community, Dhanu Muduli from Gadaba community on , Laxman Mandra on Banda community, Anadi Khada from Kutia Paraja Community , Abhiram Jhodia from Jhodia community, Niranjan Nayak on Penga Paraja folksongs and culture presented brief summary of their writing. 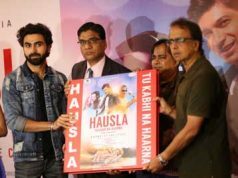 It has shared all the manuscript will be published in book form. Noted poet Mrs. Chandrama Balia and social activist Sumani Jhodia also present their lyrics on this occasion. Mr. Gadadhar Parida, Ex.Collector, Koraput shared that the community know back to their society and realize the importance of their culture,. There is need to be more and more programme on culture, at block and district level on tribal literature. So that after five years, the situation will be changed. The meeting has presided by Mr. Laxman Mandra, a retired headmaster and writer of Banda community. He also present his poetry related to Banda community. Mr. Achyut Das shared that SRC, Rayagada working for the promotion of tribal literature in the tribal community. 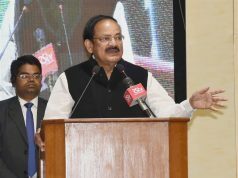 In future, the institution will be published more and more book on tribal litertures to promote tribal literature. KBK commissioner Sri Sudarshan Pal Thakur facilitated to all the presenter who contributed their write-up on this occasion. He assure that if the tribals independently work on the develop of literature, he will help in financial matters. Mr. Deben Kumar Pradhan, PD, DRDA also share about planning for the development of tribal culture in block and district level of Koraput district. At the end Dr. Chandan Kumar Singh shared about the objective of workshop to highlight the tribals writer to the mainstream. He also proposed vote of thanks at the end of the workshop. Tribal Writers Workshop( Development of Teaching Learning Material ), The 8th August 2018 . Sj. S . P. Thakur, IAS, Chief Administrator , KBK , Odisha inaugurated the function in Sadbhabana Conference Hall , Koraput .Shri K Sudarshan Chakravarthy, IAS , Collector and Magistrate , Koraput , Sj. 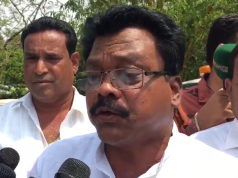 Gadadhar Parida , EX- Collector , Koraput , Sj. Achyut Das , Chairman , SRC, Agragamee , Rayagada , Sj . Deben Kumar Pradhan , PD, DRDA, Koraput are seen in the picture . Mr. Laxman Mandra , Gobindpalli , Malkangiri presided over the meeting . Writers from Bonda , Gadaba , Paraja , Kui , Kuvi , Jhodia , Peng Kondh , Soura participated in this workshop .